In SUNDAY'S CHILD, Grace Draven heats up a cold and lonely Christmas when museum archivist, Claire Summerlad, meets a mysterious new co-worker. Andor's past may be a mystery, but is a future with Claire possible with a centuries-old punishment hanging over his head? Father Christmas meets Norse mythology in this brand new Christmas novella from the author of Master of Crows. In LOST LETTERS AND CHRISTMAS LIGHTS, readers return to the Elemental Mysteries in an all new novella by Elizabeth Hunter. Giovanni Vecchio and Beatrice De Novo travel to Rome when a new mystery interrupts their Christmas. Fina Rossi may have been the director of the Vecchio library, but she wasn't expecting vampires for the holidays! 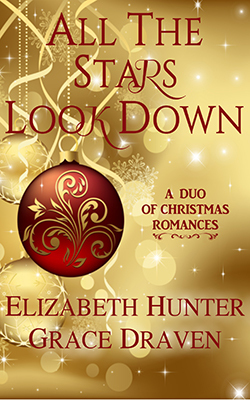 Christmas takes an unexpected turn when she meets her employers' old friend, Zeno Ferrara. He has the key to solving a mystery plaguing Beatrice's client, but he's taken a far more personal interest in Fina.